Ian Dodds is the CEO of Ian Dodds Consulting (IDC). IDC is a market leader in global Diversity and Inclusion consulting. Ian leads a team of over 50 consultants working with major private and public sector clients in Europe, Asia, Africa and the Americas. Ian specialises in organisational development and transformation leadership capability building to enable clients to reap the profit generation and efficiency gain benefits from building an engaging, inclusive culture. Before becoming a consultant, Ian was Group Head of Organisational and People Development for ICI, then the largest chemicals company in the world, and a member of its Fine Chemicals Manufacturing Board. 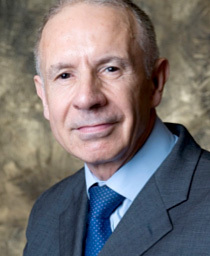 He has been a member of the advisory management development bodies of London, Manchester and Michigan Business Schools and is featured in Who’s Who ‘Business Leaders of the Millennium’ and is a Who’s Who Mentor. He is an elected faculty member of the NTL Institute of Applied Behavioural Science and a Fellow of the Royal Society of Arts. He holds a PhD (Reading University) and an MA (Oxford University).